What do you expect from a "CHORDS" feature? This is a step sequencer where 4 notes chords can be assigned. It's a way to compose even faster by choosing the tonal and then the chord "type" (triads / 7th chords / minor / diminished / Major...), and then the inversion. Are there chord-related functionalities that we should focus on in order to better this new instrument? I like the way chords are entered in ChordPolyPad, it's very fast and flexible and not limited to any preset scale. But it has no sequencer. AUv3, strumming, humanising of velocities and timing would all be good. midi OUT will definitely be available (as it is already available for MonoSynth and DrumMachine). Why stop at 7th chords? Why not more jazz type extensions a la 9ths, 11tths, 13ths? midi in/out and you should be able to create chords by intervals up to 13th chords. option to be able to play the programmed chord diatonic through the scale. midi control of the presets so scrolling through different chord presets via a midi controller while playing. What I love about CPPad is being able to record / and adjust velocity of each note in any given chord. So on CPP - I can record a chord from my midi keyboard, and have each notes velocity being recorded, and adjustable later if needs be. And as Trevor suggests, chords by intervals up to 13th chords. I want it exact like Cthulhu. I really enjoy the ChordMaps2 app and being able to access a page with chords that go well together is great. Having a similar set of menus to select chords for entry into Bleass would be convenient. You’d have the option of selecting chords and saving them to a user preset. You could then assign each chord in a given user preset to a note, the default could be to automap chords in the preset to an octave. The keys and pads in the sequence data entry would then display the chord name of the active user chord preset for each CHORD instrument. It would be even nicer to be able to specify the velocity of each note in the chord for each step in the sequence so you can really dial in your music. 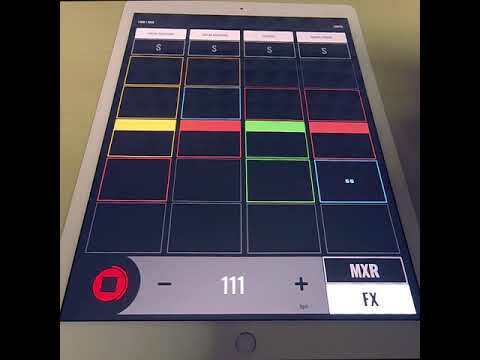 Being able to use other apps to send MIDI chord data to Bleass would be nice. You’d be able to have a split screen with Bleass and the MIDI chord app so you could enter a sequence of chords into the Bleass sequence. Strum. And various velocity options per note, such as increasing or decreasing per note, higher velocity for 2nd, 3rd, note, etc. And variable randomization of velocity and timing per note. Pseudo intelligence for choosing voicings based on leading tones. But we are definitely going to take into account most of these great ideas! If you happen to have other ideas, feel free to share them! we'll definitely keep on looking into these. I wanted to add - when a chord is played (on a piano etc) every finger does not land at exactly the same time (as well as differing velocity) some chords the notes roll off the root for example. I have thought about the ultimate chord app in the past, and imagined (if I could build apps) that each chord slot is a midi recorder, able to record the performance nuances into the chord slot - so recording exactly how the chord was played. Then we can use these chords for realistic orchestral/piano/electric piano pieces, as well as good synth drivers. One more thing i could hope for is being able to set each note to be a separate midi channel to drive software and hardware. Thank you all for your great feedback! It has helped the BLEASS team to design this feature according to all your good ideas guys. Thank you truly! it features a "strumming" functionality, which is close to what @Mayo was talking about. finally, with the midi out feature, you can trigger chords on any other iOS synth with midi in you want! Please feel free to tell us what you think of this brand new feature, which we think brings a lot to music composition and performance on iOS devices!